Creative Carbon Scotland has been awarded funding from Creative Europe to run the ambitious Cultural Adaptations project. 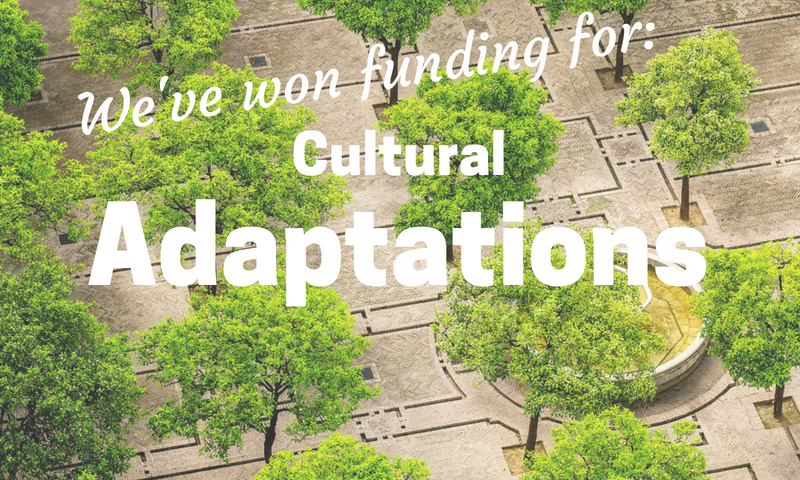 Cultural Adaptations is a Creative Europe funded project led by Creative Carbon Scotland with partners in three EU countries, on culture’s role in society’s adaptation to climate change, and the adaptation issues that cultural organisations need to think about. Cultural Adaptations will get underway in October 2018 and run until March 2021. Embedding an artist in an adaptation project to apply their unique set of skills and practices to tackling adaptation challenges in a non-artistic field. The cultural partners in the project will also be working with adaptation partners. Axis (Ireland) will be working with Codema, Dublin’s regional energy efficiency agency, Greentrack Gent (Belgium) with the City of Ghent local authority and TILLT (Sweden) with the City of Gothenburg local authority. The learning from these projects will be reviewed with the cultural and adaptation partners from Belgium, Ireland and Sweden and with two evaluators, to draw out the learning and good practice and create a Toolkit and supporting Digital Resource that will enable other cultural and adaptation actors to replicate them. The project will also benefit from support and involvement of ICLEI (International Local Governments for Sustainability network) as a ‘dissemination partner’ who will attend, participate and spread the word and the Scottish Government’s Climate Change division committing significant support for the project conference. Interested in being part of Cultural Adaptations? the workshop for cultural managers to benefit from the methodologies developed by the project (March 2019)? coming along to our end of project conference in October 2020 (there will be some subsidised places for freelance artists) to discuss the learning from the project and hear more about the Toolkit and Digital Resource produced by the project? Receiving regular email updates about the project as it progresses? Major project announcements will be shared in the Creative Carbon Scotland newsletter. To hear only about specific areas of the project complete the form below. Your information will be stored according to Creative Carbon Scotland’s Data Protection Policy in compliance with GDPR and we will only use the information you provide (name, email address) to send you information on your selected areas of the project. Find out more on the Cultural Adaptations project page.